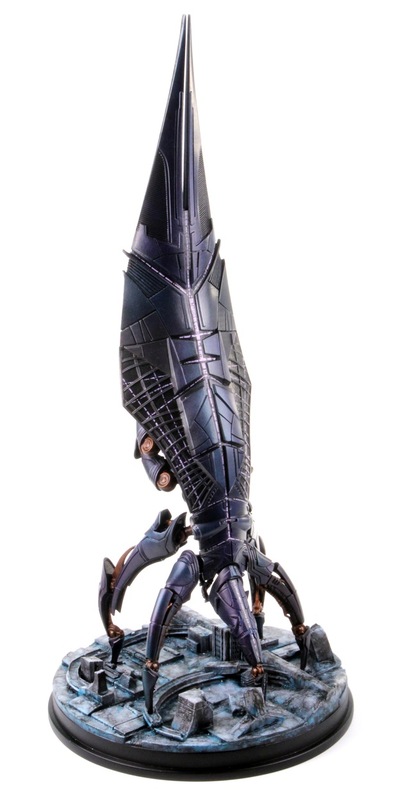 Over the last several months my Toy Fair sneak peek showcasing Dark Horse’s Mass Effect Reaper Replica has been bringing in lots of looks and questions as to when it would become available, actual size and pricing. As of today the company has announced a rethink on the original collectible (which was about 8 inches tall.) According to DH’s press release the revamped Reaper will measure a whopping 18.5 inches. It will be limited to a numbered edition of no more than 1000 and include exclusive multi-player in-game bonus (only for XBox 360 and PC versions of Mass Effect 3.) The high end collectible carries a price of $349.00 and is expected to hit th market by June 2013. You can put a pre-order deposit of $100.00 on it at the BioWare store.